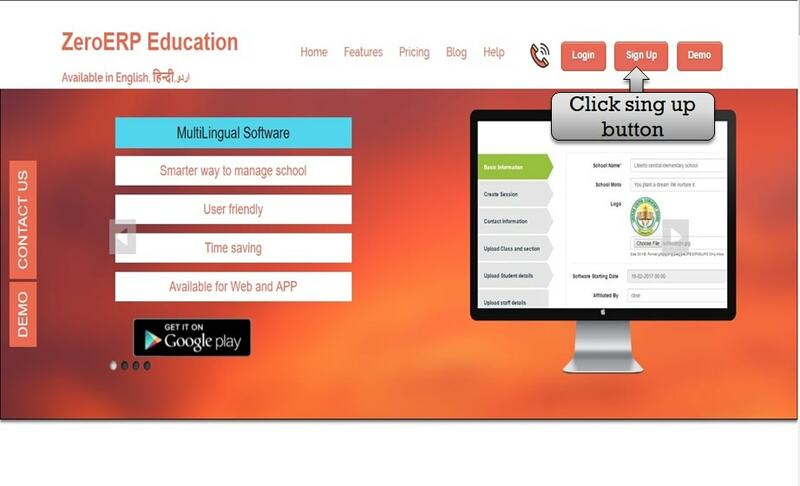 Step:1st- Registration in ZeroERP Education software please click the sing-up button. 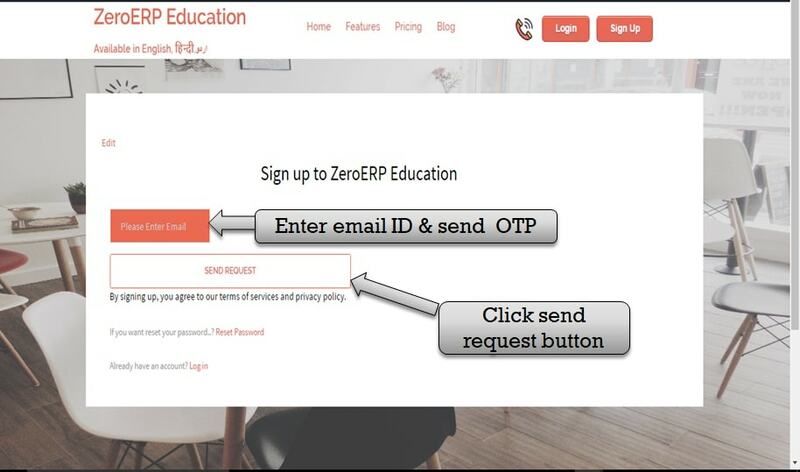 Step:2nd- In Zero ERP Education software Please enter your valid email in and click send request button and OTP send your email ID. Step:3rd- Please enter OTP number and click send request button. 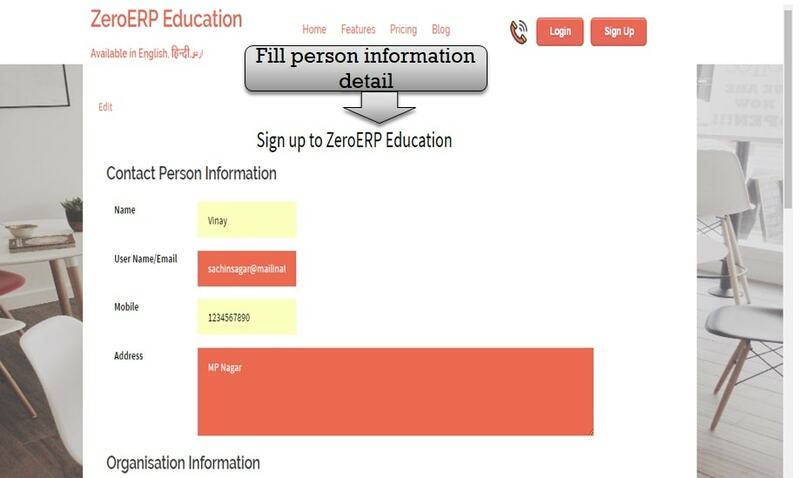 Step:4th- Fill your contact information like name, Email address, mobile number and contact address in Zero ERP Education software. 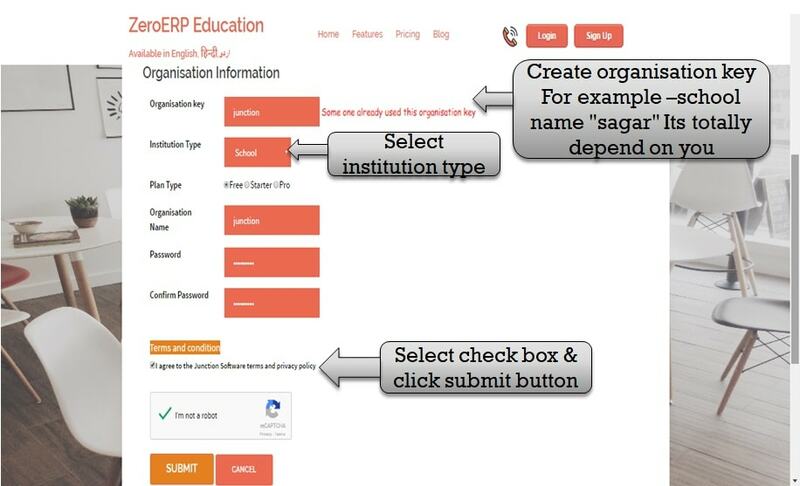 Step:5th- Add your organisation information now create your organisation key(for example school name, organisation key It totally depend on you), select institution type, enter organisation name and create organisation password then click submit button. 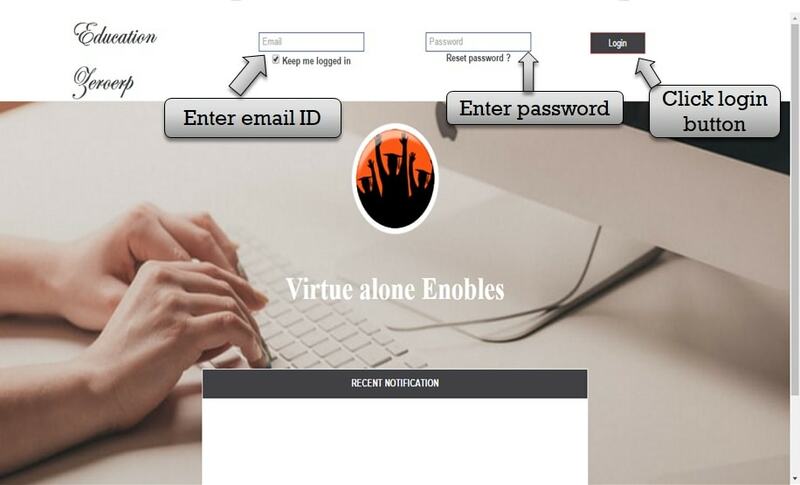 Step:6th- Enter your email ID and password then click the login button. Good software. 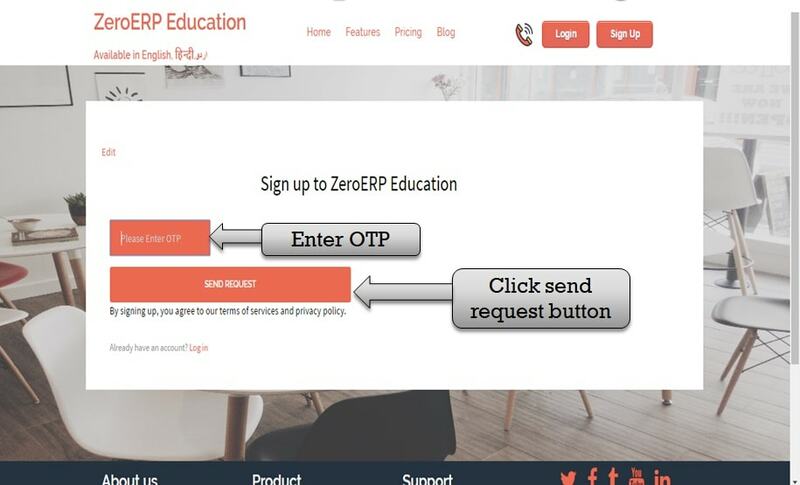 Thanks you for providing step by step plan for signup in zeroerp software. This will be useful those who wants to get exact guidance to sigup.